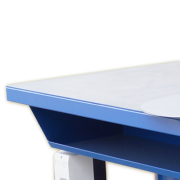 S-1000 welding table is a work station equipped with air pollution capture and exhaust devices which appear with workshop processes (especially during welding). 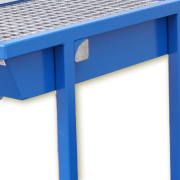 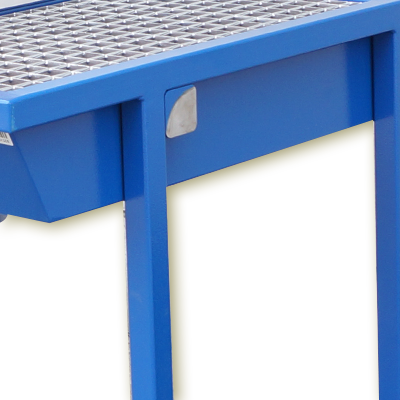 S-1000 table frame, made of heavy duty square profiles, features built-in downdraft exhaust, fume arm connection inlet and ZWR-03 aluminium radial impeller fan unit. 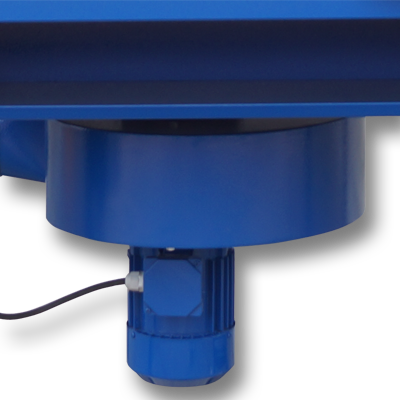 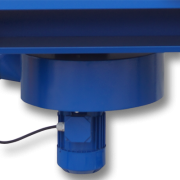 Downdraft exhaust and fume arm individual dampers allow airflow adjustments as fan unit transports air pollution to the outside of premises (discharge installation must be connected). 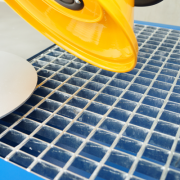 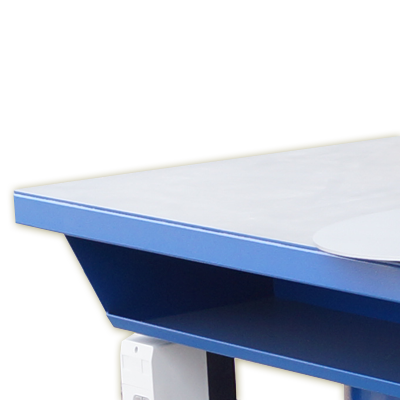 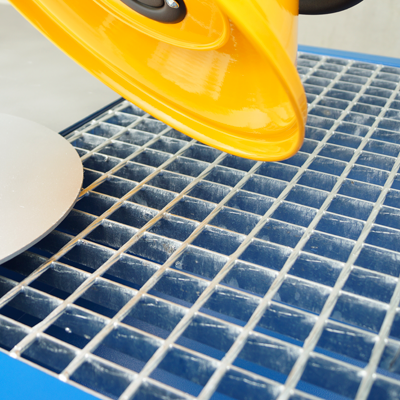 Surface of the S-1000 welding table has been coated with conductive corrosion protection and grounding table can be connected on left or right side of the table frame. 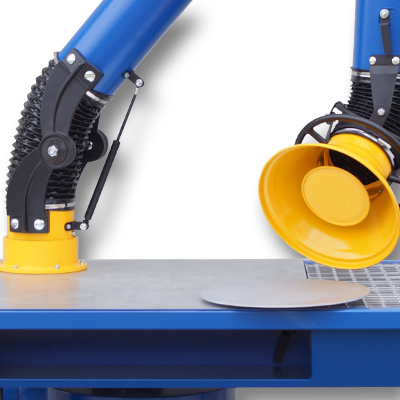 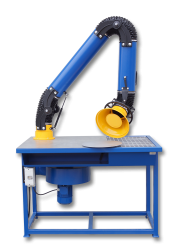 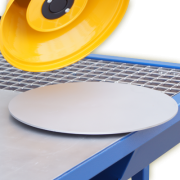 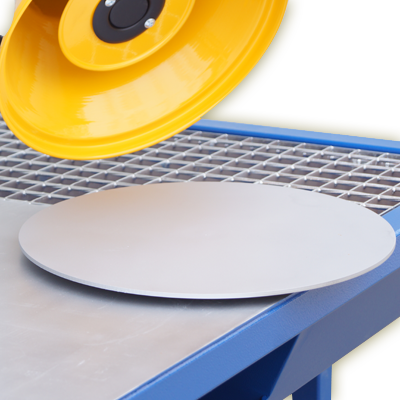 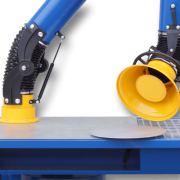 S-1000 welding table complete sets are offered with revolving table for more productive work on smaller elements.